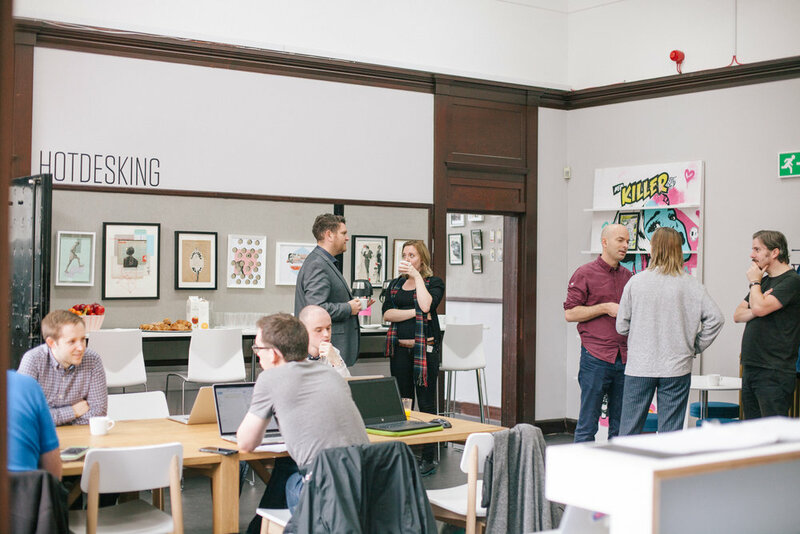 Based in the city's new Digital District, CodeBase Stirling is the heart of the growing technology ecosystem. 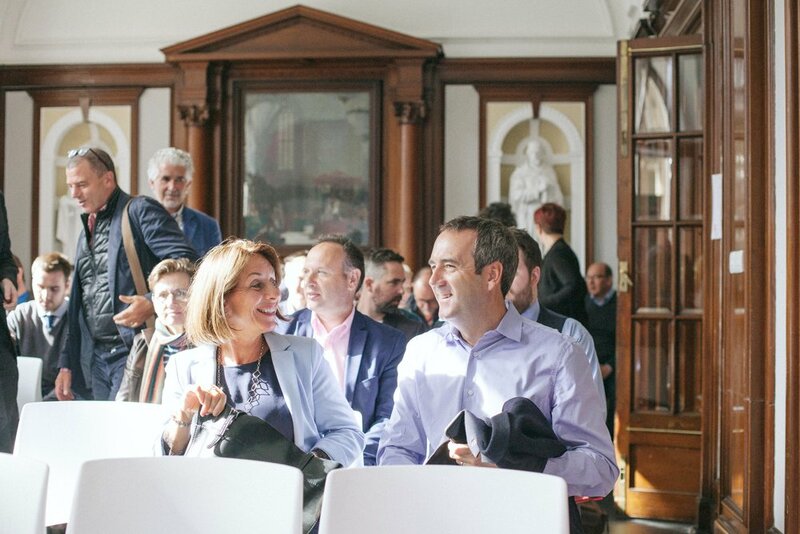 Our hub gathers and supports the tech community providing scaleup education, office / coworking spaces, mentoring and events. Our three main venues provide unique, flexible spaces suitable for a range of events. From large meetings, seminars, hackathons and conferences to informal meetups, film screenings and workshops. We also have five meeting rooms which can be used for board meetings, catering areas or breakout rooms. All events benefit from superfast wifi, helpful staff and easy reach of public transport hubs. The former marriage suite with ornate ceiling, statues and bright windows can be laid out in boardroom, classroom or cabaret style.The space also features a small stage, projection wall, projector, PA system and lectern with built-in mic. 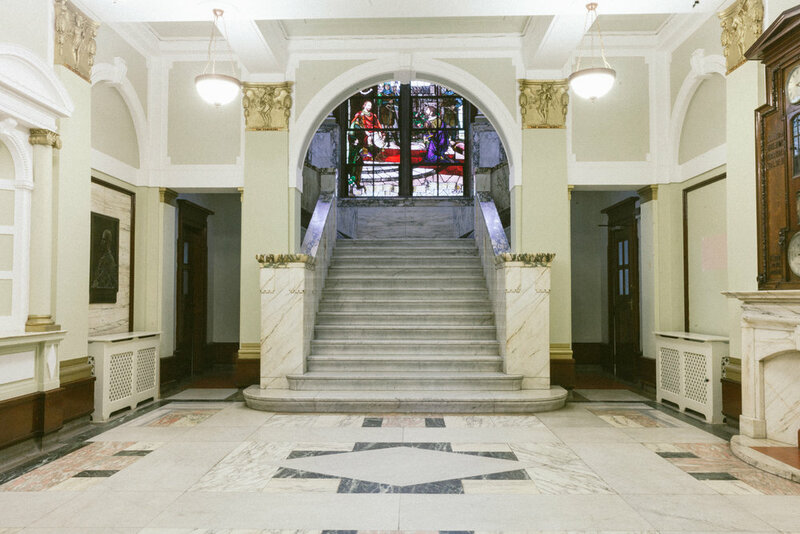 The grand marble foyer is ideal as a breakout space for networking or catering. Available out of normal office hours, this is a bright, open area ideal for social functions, receptions and informal meetups. The stunning former council chamber features an original antique raised podium, projection wall, projector and PA system. With a seated capacity of 120 it is ideal for large seminars and conferences. Adjacent to the Chamber this former Committee Room can be used in conjunction with the former as a breakout space or catering area. The opulent Provosts Lounge is the perfect location for a board meeting, VIP lounge or investor pitch. For weekend hires, please contact us directly as there may be additional costs. All prices include one hour of set up. - We are happy to provide basic catering (tea, coffee, biscuits, cold platters) at an additional cost. - We can also provide full hot meals/buffet. Price on request. Note, we do not have the ability to cook food on site. Our event spaces come equipped with the following equipment which is available to use. All Events Spaces are fully accessible from the street. There is limited car parking nearby, the closest being Dalgliesh Court, The Thistles Shopping Centre and NCP Wellgreen. Full guide on local options >> HERE. Both Stirling Train Station and Bus Station are a five minute walk from CodeBase Stirling. To find out more please call us on 01786 234 692, email us at Barry@thisiscodebase.com or pop in!